Astonishing Mori treasures from the Sir George Grey Special Collections will be on display for all to enjoy for free, for four months from June, at Auckland Councils Central City Library. Astonishing Māori treasures from the Sir George Grey Special Collections will be on display for all to enjoy for free, for four months from June, at Auckland Council’s Central City Library. Mayor Len Brown and His Excellency, Lt Gen Rt Hon Sir Jerry Mateparae, GNZM, QSO, Governor-General of New Zealand, Patron of the Auckland Library Heritage Trust, will open the exhibition on 12 June. Manatunga, ko ngā taonga waihohanga atu ki te arawhiti: the treasures left behind in this realm showcases nationally significant Māori artifacts, handwritten manuscripts, letters, diaries, maps and photographs that record the events of 19th century Māori. Many of these treasures were collected by Grey himself. Curator and Auckland Libraries Māori heritage librarian, Robert Eruera, says many of the items in the exhibition have never before been on public display. Each has been carefully selected to provide a unique insight into New Zealand’s history. “We have rare manuscripts and early published material, photographs, ephemera, maps, drawings, newspapers and objects – including a letter and seal from King Tawhiāo. 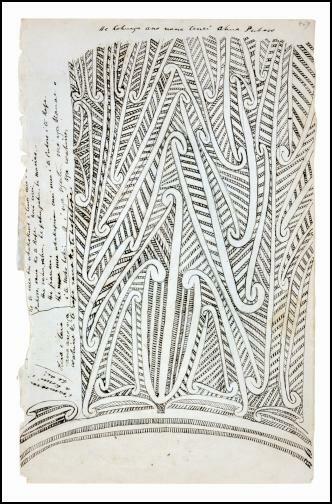 Other items on display include the Tūī and Titore sketches drawn in 1818, the earliest recorded handwritten paper works from Māori,” he says. “Auckland Council is privileged to have these taonga in its care and I’m delighted we can give everyone the opportunity to see them up close,” says Mayor Len Brown. Manatunga runs from June to October and celebrates Matariki (the Māori New Year) and Te Wiki o Te Reo (Māori Language Week) with specially created programming throughout the run of the show. There will also be an online version of the exhibition on the Auckland Libraries website from 12 June. The Sir George Grey Special Collections began with the generous gift of much of the private library collection belonging to Sir George Grey (April 1812 – September 1989), who was twice Governor of New Zealand, and Premier of New Zealand. After Grey announced his intention to gift his collection to the people of Auckland, work began on a new building to house the donation. Today this building is wholly occupied by the Auckland Art Gallery, but until 1971 it also housed the Auckland Public Library. By the time the building opened in 1887, Grey had donated about 8,000 volumes. He continued to give generously for the rest of his life, sending books to Auckland even after he returned to England in 1894, with the final total reaching 14,000 items, plus his personal correspondence which amounts to more than 3,000 letters. Other treasures within the collections include the earliest medieval manuscript fragments in Australasia, parts of a Carolingian Bible dating from around 800 AD and the only First Folio of Shakespeare’s plays (1623) in New Zealand. Sir George Grey Special Collections also has the original manuscript of the lyrics and score of “God defend New Zealand”, our national anthem. This was a gift to Sir George Grey by the lyricist, Thomas Bracken, and the composer, John Joseph Woods.